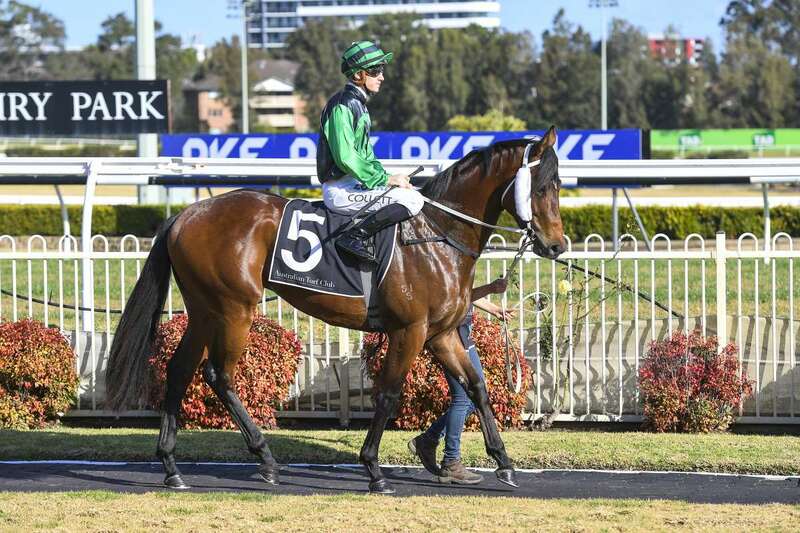 Central Coast trainer Greg McFarlane believes the move of the Gosford Polytrack Provincial Championships qualifier to Thursday's Newcastle meeting is a huge positive for his richly talented three-year-old Golden Tycoon. The 1200m $150,000 race, which was washed out last Saturday, has attracted a cracking field and Golden Tycoon ($5) was a close second favourite on Wednesday behind the Kris Lees-trained filly Evalina ($3) with TAB Fixed Odds. Shaun Guymer will ride Golden Tycoon, while Jenny Duggan will steer McFarlane's other runner, Clear The Beach ($31). "Gosford is my home track and I set Golden Tycoon for the qualifier there as he was second-up and the 1200 metres was ideal," McFarlane said on Tuesday. "A Good 4 at Newcastle, and I am over the moon. It's a huge positive for my horse." "He bolted in at a Canterbury two-year-old maiden on debut in July. Three weeks later I threw him in the deep end in the Rosebud and his run was outstanding. "He led to the last bit and was beaten less than half a length by Sandbar and Charge. I produced Golden Tycoon first-up at Rosehill on February 23 and he finished fourth on a Soft 7. "He has improved greatly since. This horse normally explodes out of the barriers so I am not concerned with the wide barrier. However, I don't want Golden Tycoon sitting four-deep outside the leaders. Lees, who has trained two Provincial Championships Final winners, is yet to qualify any of his team this year after two heats but he has a big chance on Thursday with Evalina, Kanavu ($11) and Chalmers ($34). Evalina will be ridden by Newcastle hoop Darryl 'Digger' McLellan and has to carry only 54 kilograms. Americana Magic ($7.50) was beaten 1.5 lengths by the ill-fated Lees-trained Smart Melody at Wyong in August. He is an on-pace runner and won a recent trial by close to 10 lengths. Lees has accepted with 11 of his team on the marathon nine-race program. Lucky Mission ($2.30) in race one and Evalina are early favourites. Ron Quinton, fresh from another group 1 Coolmore Classic win, will send promising filly Hibiscus Lady ($3.30 fav) to Newcastle. The three-year-old has toyed with her rivals in two recent short-course wins at Newcastle and Gosford. Mark Newnham's Full Recognition ($1.60 fav) has bright prospects in race three.